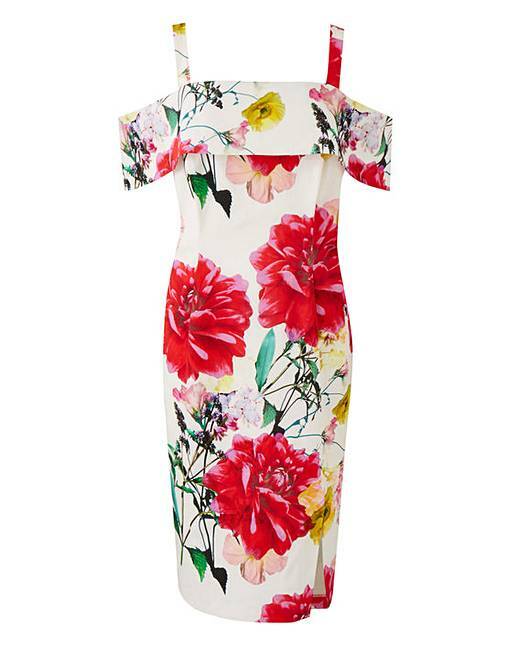 Coast Dennis Print Cotton Shift Dress is rated 3.0 out of 5 by 1. 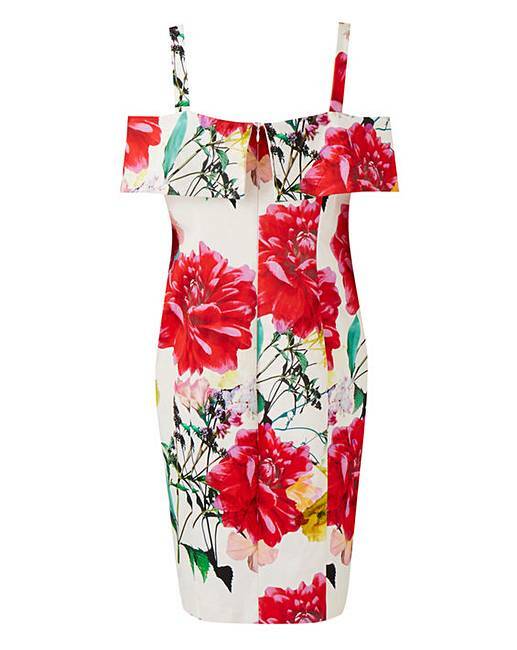 Sophisticated and chic, the Dennis print shift dress from Coast Curve is perfect for any occasion. 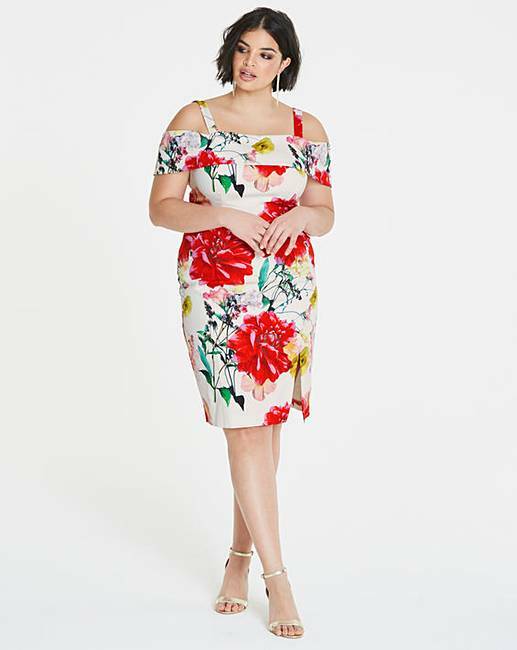 Combining a vibrant floral print with on-trend cold shoulder details and a bardot neckline, it ensures you make a style statement wherever you go. Length 33in/84cm from centre back to hem. 98% Cotton, 2% Elastane. Lining: Polyester. 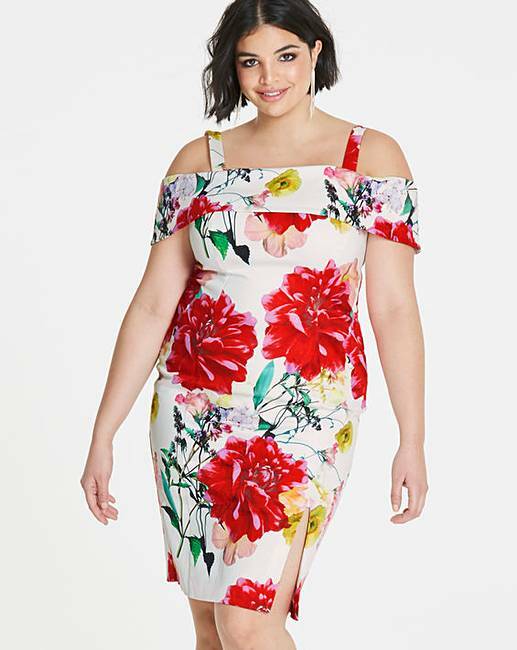 Rated 3 out of 5 by Amber from Unfortunately not for me Bought this dress for a summer wedding, unfortunately the dress did nothing for me in terms of complimenting my shape. The fabric and print was beautiful but I will be returning shortly.